The Life Fitness exercise bike C1 Track Connect convinces by its top-quality workmanship, great comfort, and a complete equipment. The hard-wearing steel frame can be loaded up to 135 kg and is very durable even for intensive workouts. The Life Fitness exercise bike C1 Track Connect is equipped with a height-adjustable saddle and an ergonomic multi-position handlebar for best training conditions. The Life Fitness recumbent bike RS3 Go offers an easy-to-use console and high stability as well as a comfortable cardio training. Thanks to the breathable, inclinable backrest, the back is relieved. The new Step Through of the RS3 recumbent ergometer makes a very easy getting on and off possible. 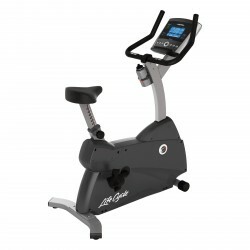 The Life Fitness exercise bike C3 Track Connect offers a high-quality equipment and durable workmanship. The sturdy steel frame construction can be loaded up to 180 kg and is ideal for performance-oriented workouts. The saddle of the Life Fitness exercise bike C3 Track Plus is very comfortable and adjustable in 14 levels. 20 resistance levels and 18 programmes make your workout motivating and varied. 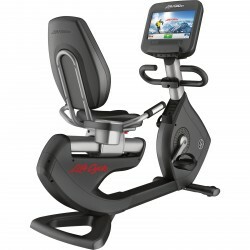 The Track Plus console of the C3 is equipped with an iPod® connection and a USB interface to connect the exercise bike with your computer and the Virtual Trainer website. Benefit from an exact analysis and planning of your workout sessions. USB interface to use the Virtual Trainer website of Life Fitness - Plan your workout even better and analyse in detail your workout sessions! Being awarded for its innovative design, the Life Fitness Platinum Club Series Discover SE Recumbent Bike convinces by its excellent ergonomics and durability. The seat and backrest of the recumbent ergometer can be optimally adapted to the user - adjustments can even be done in sitting position. Thanks to the innovative Discover SE console, the Life Fitness Platinum Club Series Discover SE Recumbent Bike offers most modern entertainment options of excellent HD quality. Due to valuable additional functions, the Life Fitness Platinum Club Series Discover SE Recumbent Bike sets completely new standards for high-quality recumbent ergometers. The Life Fitness RS1 Go Recumbent Bike is perfectly suitable for a gentle and effective cardiovascular training. The console of this Life Fitness recumbent bike is very easy to control. An adustable seat and low access make for a comfortable endurance training. 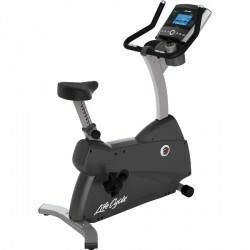 The innovation in cardio fitness is represented by the Lifefitness Elevation Series. The Life Fitness Platinum Club Series Discover SE Upright Bike WIFI combines possibilities of most modern entertainment with excellent ergonomics and maximum longevity. Besides the perfect training experience, the Life Fitness Platinum Club Series Discover SE Upright Bike WIFI offers valuable additional functions of approved high Life Fitness quality. 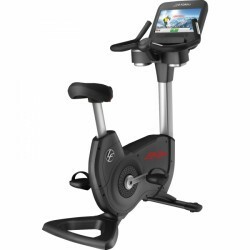 A customizable starting screen with scrolling text function, machine administration with analysis function, personal coach functions, and many other features make the Life Fitness Platinum Club Series Discover SE Upright Bike WIFI a real highlight. The Life Fitness ergometer C3 Go is ideal for an ambitious home workout. The construction is extremely loadable up to 180 kg and durable. The comfortable saddle is 14 times adjustable. The resistance can be regulated in 20 levels, 13 programs provide diversion. 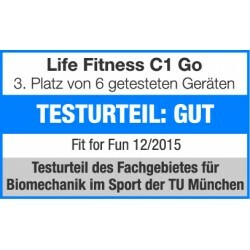 5 of these are pulse controlled for a very effective workout with the Life Fitness ergometer C3 Go. Thanks to the generator brake system, you produce the required power on your own with the Life Fitness ergometer C3 Go and save energy. The experience for decades of Life Fitness in professional sports equipment is also reflected in a number of excellent exercise bikes and recumbent bikes. Quality and equipment of the Life Fitness exercise bike convince beginners and professional sportsmen equally! The Life Fitness exercise bikes transmit the first-class Life Fitness commercial quality to your home. 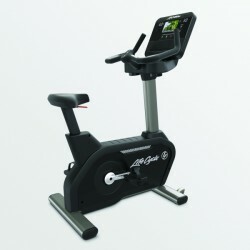 The high-quality frame construction and the well-thought out equipment characterize the Life Fitness exercise bikes. 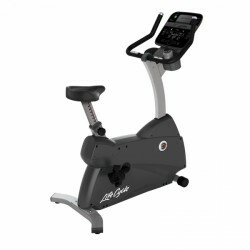 The Life Fitness exercise bike C-Series includes two extremely sturdy exercise bikes: the C1 and the C3. The stable exercise bikes provide a highly technical level. The C1 is equipped with a high-quality induction brake system and the C3 with a magnetic brake system. Both systems provide a smooth concentric run and are maintenance-free. The operation of the C1 is quite silent compared to the C3 due to the induction brake. Another advantage of the induction brake is that it allows a soft resistance change throughout the training. You can vary the pedal resistance of both models in 20 levels and hence determine your preferred intensity zone. The C1 exercise bike with a weight of just 47 kg is the lightest and most compact of all Life Fitness exercise bikes. Due to the low own weight and the integrated transport wheels, the C1 is easily placed everywhere. The C3 convinces by its very high loadability of a maximum of 181 kg. The C3 makes a regular exercise bike workout at high loads (weight and/or intensity) possible. Compared to the C1, the C3 is equipped with a generator system. It means that the required power is produced by the user while exercising. The smart machine thinks of the environment and can be individually placed being independent of external power sources. Another distinctive feature between the two models is the saddle. While the C3 convinces by a padded Deluxe saddle, the C1 is equipped with a standard saddle. Both saddles are easily adjusted in 14 levels, so that users of different heights can do an effective training with the sturdy exercise bikes. 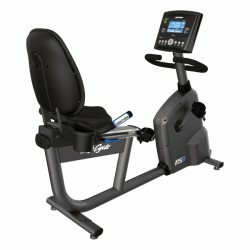 The Life Fitness exercise bike C1 and C3 are available with the Go or the Track Plus console. The Go console offers 13 training programmes, five of it allow a heart rate controlled exercise bike training. The Track Plus console guarantees a motivating workout with 14 training programmes, of it five are heart rate controlled. The Track Plus console also allows to create individual training programmes, to upload your results, and to watch training successes with the online platform of Life Fitness, LFconnect. 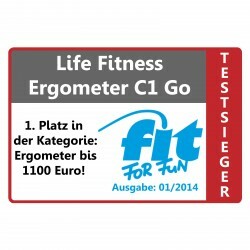 The exercise bike C1 became test winner in the price category up to 1,100 € in the Fit for Fun exercise bike Test (01/2014). 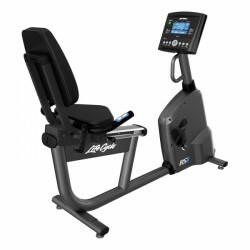 The exercise bike features an excellent usability and the optimal load control. The exercise bike of the Platinum Club Series Discover and Club Series complete the first-class fitness equipment of Life Fitness for private use. You train at home with high-quality exercise bikes: effectively and with a long lasting success. The most important distinctive feature between the models is the brake system. 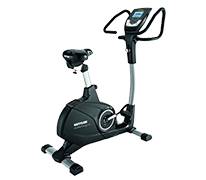 The Platinum Club Series Discover convince by an electronically adjustable magnetic brake system, the Club Series exercise bike is equipped with an induction brake system. The Platinum Club Series Discover exercise bike is not only characterized by its high stability and sturdiness, but also by excellent ergonomics. The Knee Over Pedal Spundle (KOPS) pedal system and the precise sitting angle provide a biomechanically optimal leg position. The Comfort Curve Plus seat can be easily and individually adjusted in sitting position by a ratchet mechanism. The exercise bike of the Platinum Club Series Discover is equipped with a resistance control on the handlebars. You can vary the training intensity in 26 resistance levels comfortably in sitting position compared to the C series and Club series (20 levels). The Life Fitness Platinum Club Series Discover exercise bike is available with the Discover SE und SI console. While the SI console has a 10 inches display, the SE console surprises with a 16 inches touch screen display with integrated tv. Both consoles are compatible with Apple ® devices and Android ™ Smartphones. Life Fitness presents the home version of its first-class commercial models - the Club Series exercise bike. In contrast to the Platinum Club Series Discover, the advantage of the Club Series' exercise bikes is the generator system. The self-generating (drive) allows a free set-up place of the machine and thinks of the environment. The Club Series exercise bike is equipped with a Club Series console, which offers you 29 training programmes. In addition, you can create seven user-defined programms individually. For those users, who want to strengthen their cardiovascular system, the Club Series exercise bike offers five heart rate controlled programmes.